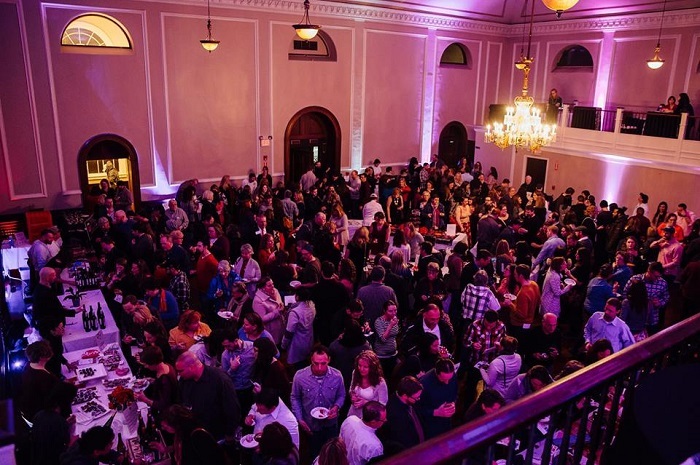 Interact with wine & spirits in a different way this week, April 3rd – 8th, courtesy of the Hawthorne Hotel. More than classes, these are full course “meals” in the art of sipping, listening, learning and being entertained by connoisseurs to become one yourself. Speaking of entertainment, there will be tasty music to drink in afterwards from 6:30 to 8:30pm at Nat’s which serves a modern European flair cuisine in a historic setting. Wines can be intimidating, but you’ll cover the basics in a fun class that gets you to sip, slurp, swoosh and spit (if you wish). How do you best order wine in a restaurant? What does that gibberish on the label mean? Learn how to pair wine with food and walk away with renewed confidence in your wine skills! Then listen to Molly Pinto-Madigan. Hailed for her angelic voice and haunting compositions, Molly won first place in WUMB’s Boston Folk Festival Songwriting Contest and was named “Artist of the Year” at Salem State University, her alma mater. She has submerged herself in the dark, luscious world of ballads, with the whisperings of the American and European traditional music. Awaken the pirate in yourself! Salem’s very best Rum distilleries have it all; no rum-running here, but just a good old clash of two top local spirits. Let’s see who can impress you the most with their cocktail skills and vote on your favorite rum-style while learning about how distilleries work. Afterwards, as the perfect Monday accompaniment, Kristen and Seth – a current Salem State University student and alumni – form a dynamic jazz duo that plays the upright bass and guitar, performing jazz standards and other music in a jazz style. .
From soccer to fashion to fast cars; Italians do it with passion. Come and educate yourself about Italian wines imported directly from the owner’s vineyard. And with that let’s get jazzy as The Cheese Shop of Salem owner Peter Endicott will pair up some smelly cheeses that will astound you in texture and flavors. Go on…you can do it! Then stay for a live performance by Nick Consone, a singer/songwriter in the Boston area since 2004. His style ranges from blues to rock, from the 70’s all the way to top 40 of today. Nick is an active member in several different bands, all of which range in style. If you already visited the Asia in Amsterdam exhibit at the PEM, you know that luxury is of all times, and nothing encompasses that more than sparkling wines. Cava, Prosecco and Champagne houses offer the more refined bubbles to enhance your palate. 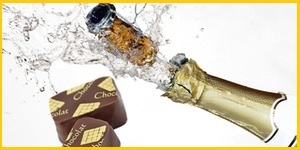 And what better combination than to share this with the top quality of Belgian chocolates? Afterwards listen to Salem State University alumni Betty Bounce’s Gypsy Jazz Trio, performing music in the style of legendary Belgian-born jazz guitarist and composer Django Reinhardt. The liquid gold of the south has gained much popularity in recent years. Whether you are a neat or on the rocks guy or gal, come taste the various styles of bourbon. And while you are at it, pair them up with some odd bacon bites to round up the night. Then join Andrew DiMarzo, a local solo-acoustic act with influences from Andy Mckee to Martin Sexton, from Bernhoft to Glen Hansard. His sound can be said to be a mix of percussive-acoustic, funk, soul and folk music. Come and listen to the brew masters of Salem’s Notch Brewery and Far From The Tree Cider on starting and improve your own home brew and get an insight into their stories. Obviously a few samples will be on hand to put the theory into practice or philosophically the practice back into theory, if that is even possible. And stay in Nat’s for an evening with The Nick G Project, featuring Salem State University faculty member Nick Giarratani. Playing vocals and guitars Nick is joined at various times by some of Salem’s best musicians including Zach Bridges on upright bass, Seitu on steel guitar, guitar and vocals and Paul Dumas on percussion and vocals. Salem may be known for spooky things like unseen ghosts, but each night this week, you will experience contact with real spirits (& wines). Tickets are only $15 per person, please order online. Local musical entertainment curated by Creative Salem. The Hawthorne hotel is located at 18 Washington Square W, Salem, MA. Call 978-744-4080 or 800-SAY-STAY . 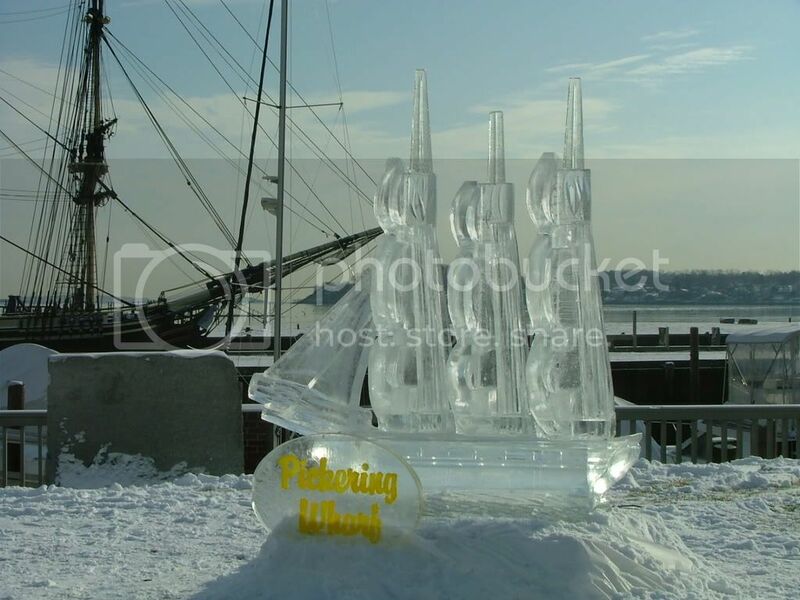 Come downtown Salem to enjoy beautiful ice sculptures, romance and chocolate, February 6 – 14, 2009! 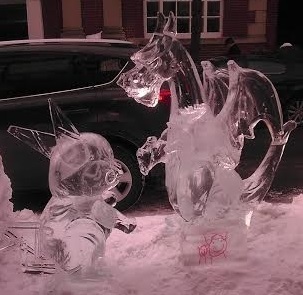 It’s time for the 7th annual Salem’s So Sweet, Chocolate & Ice Sculpture Festival. A decadent tradition of delectable chocolate, sparkling ice sculptures and Valentine’s Day shopping. For more information go to our Salem’s So Sweet page.